If your a Pac-man fan or just need to open a few cool ones. 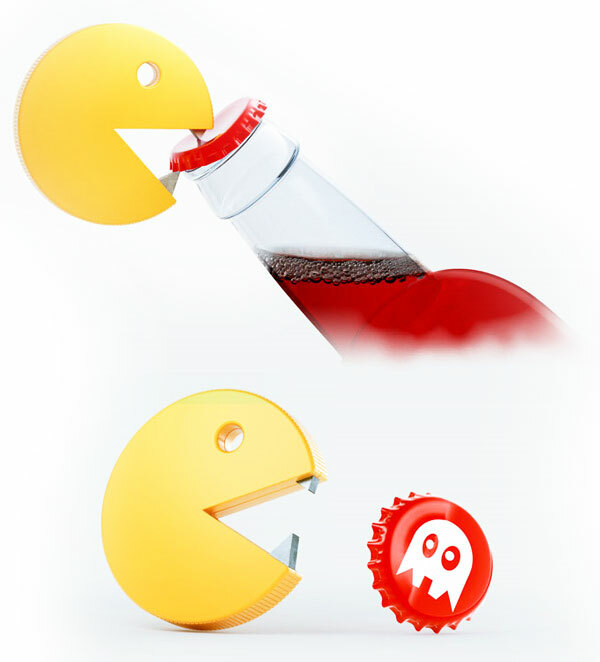 Why not try this funky retro Pac-man bottle opener called the ‘Unpackman’. Styled on the Pac-man muncher character this one is equipped with a set of super sharp teeth reminiscent of a cross between a Pac-man character and Jaws from James Bond. To help easily pry off those bottle tops. The ‘Unpackman’ can be carried only keys by threading the keyring through his eye.